The mobile app puts a mechanics to-do list on his phone in real-time. MyTaskit launched a mobile app to help service companies streamline their work in real time from the field. It is available for Android and iOS devices. 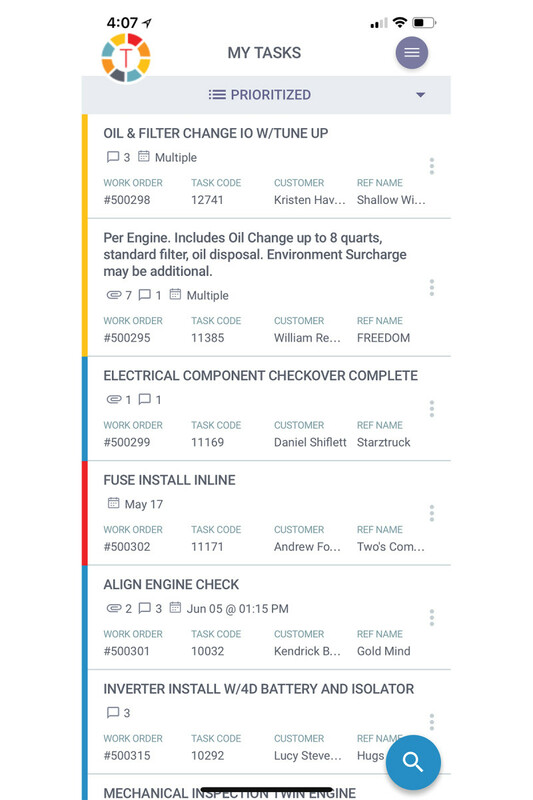 Developed for field-service technicians, the app facilitates a faster, more efficient view of assigned jobs with the ability to update work orders in real-time using such features as voice-to-text recordings. If a technician is out of cell and Wi-Fi range, the app functions in a disconnected state and synchronizes once a connection is re-established. When a job is in process, before and after photos and videos can be uploaded to the app. Supervisors can view project progress and share time-stamped content with customers. Work time is submitted directly into the app in real-time, and MyTaskit’s software integrates directly with DockMaster and QuickBooks. An integrated search and filter feature lets technicians access schedules and task lists and as the work is in progress, real-time updates from technicians give supervisors the opportunity to view job progress.